In her first ever cookbook, Mireill Guiliano provides her millions of readers with the recipes that are the cornerstone of her philosophy-mouthwatering, simply prepared dishes that that favour fresh, seasonal ingredients and yield high satisfaction. Organised around Mireille's three favourite pastimes-breakfast, lunch, and dinner-these recipe emphasise pure flavour, balanced ingredients and easy cooking methods. 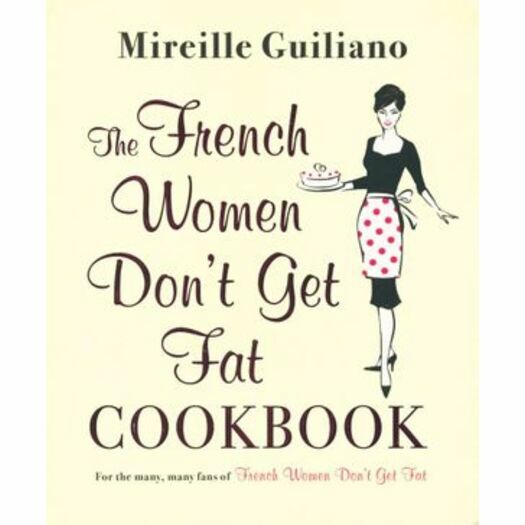 Eating pleasurably is just as important as eating healthfully, and Mirille devotes chapters to dessert and chocolate (essential components of any Frenchwoman's diet) and incorporates advice on entertaining, menu planning, and wine selection. Mireille Guiliano, born and brought up in France, is an internationally best-selling author, long-time spokesperson for Veuve Clicquot and former President and CEO of Clicquot, Inc (LMVH). She is married to an American and divides her time between New York and France (Paris and Provence). Her favourite pastimes are breakfast, lunch and dinner.